Uber acquired JUMP bikes last month, reportedly for $200M. What few people know is that this mini-unicorn began as a humble non-profit in the New York boroughs. Success does come overnight! Only if you have been planning, working and waiting for it for years! Ryan Rzepecki graduated in 2008, with a master’s degree in Urban Planning and a simple idea. He wanted people to see bikes as a viable and convenient transportation mode. Ryan was inspired by the bike share programs in Europe that offered fast, easy and affordable one-way trips. Unfortunately, he couldn’t afford to create a similar program in his city the contemporary solutions at the time were expensive and required huge infrastructure that Ryan couldn’t afford. He went on to work for the city’s Department of Transportation, managing their bike program for the next 2 years or so. There he saw a solution to his problem. He could build a lower-cost locking system and install it on the bikes itself Consumers could unlock these bikes simply using a mobile app. and park them at any bike rack across the city after the trip. It took the team 3 years to build a product they were happy with. The company then partnered with the city of Hoboken, New Jersey to launch a 25-bike pilot program. The public officials saw immense value in the program. Soon after, they raised $1.1 million to expand their reach in new cities. Over the course of next four years, the company teamed up with city departments and councilmen across the cities of Buffalo in New York, Richmond in Virginia, Portland in Oregon, Santa Monica and San Mateo in California, and even Ottawa in Canada. There was no looking back for Ryan’s team after they signed up 50 partners across the US. The team deployed 15,000 bikes, in 40 cities, across 6 countries, and had clocked over 5 million rides until early this year. The team counts 2017 as the year the model flipped! Earlier, the bike sharing industry had to win over the city hall, sign up sponsors, and go through a lot of municipal red tape. In 2017, however, the industry shifted from a government contracting business to a well-capitalized consumer technology. Dockless bike sharing was no longer an amenity, it was a necessity! Social Bicycles worked with partners in the cities it was operating in. You would ride a Social Bicycle under the name of Blue Bikes or Instabikes. In 2017, however, the company decided to operate their own fleet. This gave them a direct touch point with customers and more control over their brand. The battery-powered, neon-red colored electric bike could take people up the slopes without them breaking a sweat. The company noticed the burgeoning interest in ride-share services both by consumers and investors alike. 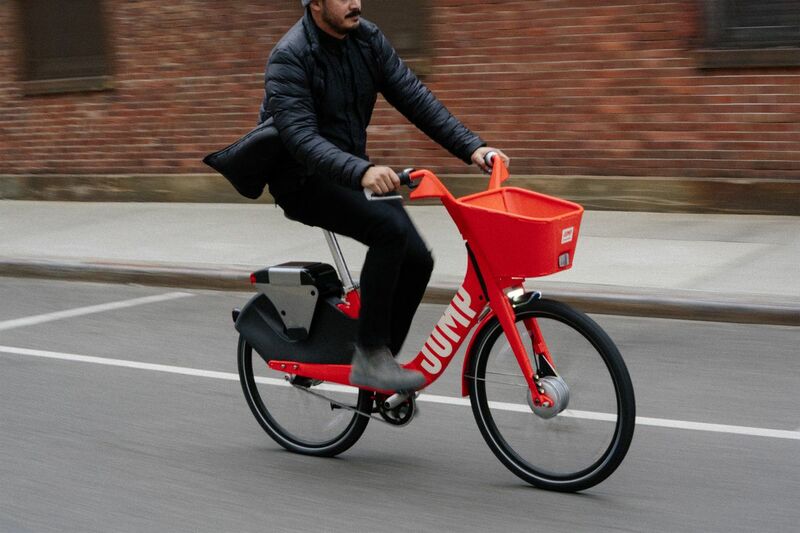 The team wanted to garner their attention and picked JUMP BIKES as a new “consumer-facing name that was simple, sticky, and as bold as an electrified vision of transportation’s future”. Together, the two companies launched their service in San Francisco and Washington, DC. This partnership paved the way for the eventual acquisition. Working together, both teams realized that they had a common vision for the future of urban transport. With more people flocking towards the cities, transportation can become a hindrance. A broader array of mobility options can make city transportation faster and more convenient for people across economic classes. It’s true. Uber has had a hard time knocking off its image of a freewheeling culture at the firm, and also in the way it dealt with cities. Ryan clearly has a more amicable way of working with the cities. JUMP bikes won the first permit that the city of San Francisco issued to an e-bike sharing service. Urban mobility has been completely redefined in the last decade. Experts contend that we might as well be approaching the ‘iphone’ moment of urban mobility. Are we ready to bid goodbye to traffic woes?